On the discussions on our Facebook page, there is certain topic that regularly resurfaces. Every once in a while people will critique online feminism, and I totally understand why. 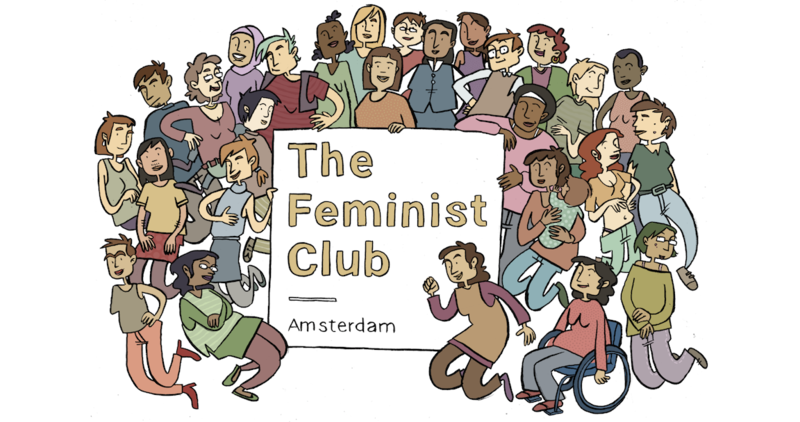 In our Facebook group, a lot of people post articles, pictures, videos, about feminist issues. The online discussions that follow are valuable. It is nice to see that people share these posts with others. Hopefully, some people are educated, grow and maybe also start calling themselves feminists. But a lot of the time, it can feel like preaching to the own choir. So shouldn’t our feminism be aimed more towards the outside? Shouldn’t we run to the streets and protest? Every so often someone will exclaim this in the Facebook group. Gathering likes within a feminist facebook group will hardly change the world right? I think that sharing posts and reading up on feminist issues can be great. It’s very nice to find like-minded people. It gives a sense of belonging, knowing that you’re not the only one out there who thinks a certain way. Activism can take place online. We’ve seen that in the past when we collectively complained against sexist posters and more recently against an online campaign by health insurance company OHRA (in Dutch). And sharing articles is what got me personally involved with feminism. Without tumblr and twitter, I may have never been as active as I am now. The protests in Poland which resulted in the rejection of a new law proposal to ban all abortions. In Iceland there is a recurrent protest were women leave their work early, to protest the wage gap. These protests show that going to the street works. It also shows that one protest is not enough, however, they’ve gotten results. First of all: here is a list of our upcoming events. Join in and become more active! 21 December 2016: Discussion Night #5: Safe space or closed space? Our discussion nights do not have an explicit activist character. These nights are a place to discuss feminist issues and meet like-minded people. However, we do make plans for activism. Later this week, a blog post will be published about an action plan on raising feminist issues in the labour market. On the 10th of December and the 20th of January, we will go to the streets. On the 10th we will be part of a counter protest. That day there is a march by the Pro-Life group Schreeuw om Leven (Cry for Life). This is a group that has been campaigning anti-abortion policies for decades. Having access to safe and legal abortions is extremely important and should not be taken for granted. So please join us in making our voices heard! The rights that our predecessors have fought so hard for, are not set in stone. New legislation is in the making, and chances are that our rights will be taken from us. It is very important to not stand idly by. I’m looking forward to seeing you at our meetings and on the streets!